Picked, roasted then flash-frozen right after harvest so we can deliver the just-picked freshness in each batch we make. 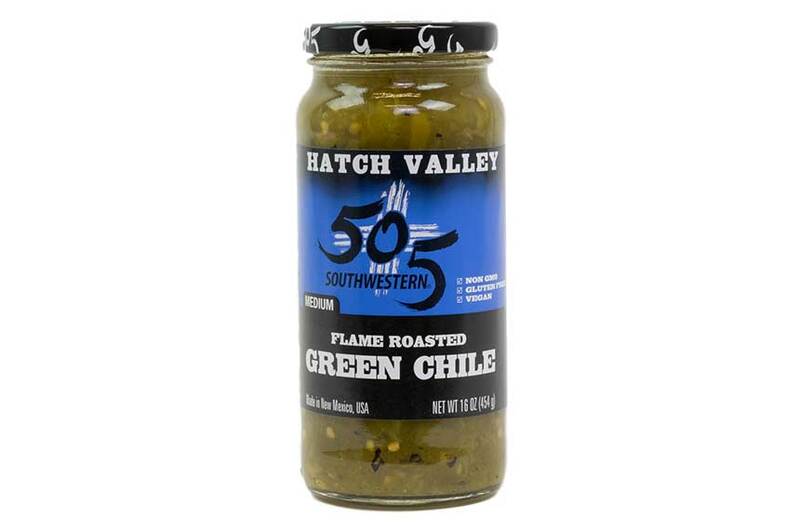 Ingredients: Hatch Valley roasted green chile, garlic salt and just the right amount of lime juice is added to act as a preservative. Primary Usage: topping for tacos, burritos, quesadillas, eggs, burgers, hot dogs & more. We start with our Roasted Green Chile and add a hint of pure honey, then the unique smokey flavor of chipotle (smoked and dried jalapeños) to deliver an original, delicious flavor. 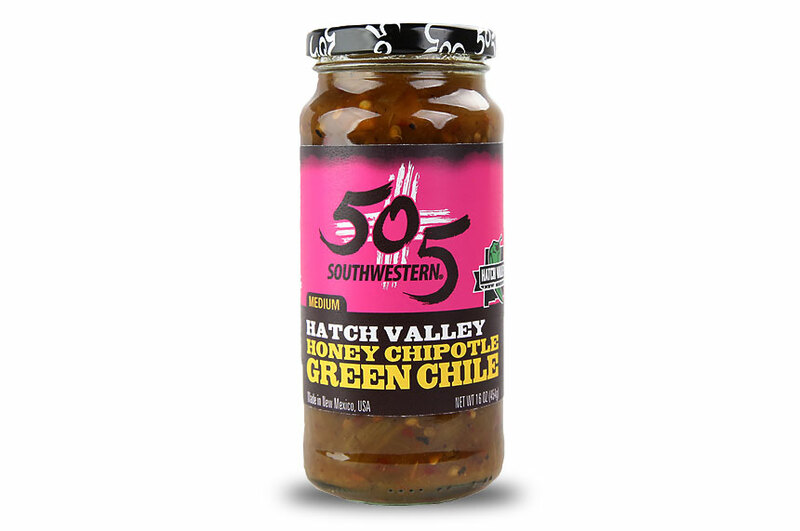 Ingredients: Hatch Valley roasted green chile, honey, chipotle, lime juice, garlic salt. Primary Usage: topping for tacos, burritos, quesadillas, eggs, burgers, hot dogs, and more. Available in 16oz, 40oz glass jars. Copyright © 2018 505 Southwestern. All Rights Reserved.